Radon is a fairly common occurrence. Half of American homes have a radon level above the average level. One in 15 homes has a level high enough that the U.S. government has recommended that action be taken to control the leakage. Radon comes in through the foundation, where the foundation comes in contact with the soil; through gaps, cracks and cavities in walls where plumbing enters; and through construction joints. 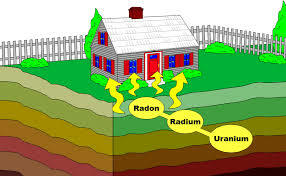 Radon is an odorless, colorless gas that comes from the breakdown of uranium in the soil. Because the air pressure inside your home is usually less than that of the soil it stands on, this acts as a vacuum, drawing radon gas (if it is present) into the home. A simple home test kit can be purchased to determine whether the radon is above a safe level. The kit is placed in the lowest lived-in area of the house, generally the first floor or basement, for two or three days. The average outdoor level of radon is 0.4 pCi/L, and the average indoor radon level is estimated to be about 1.3 pCi/L. Generally, a level below 4 pCi/L is considered safe. If testing reveals an unacceptable level of radon in the home, the good news is that radon remediation methods are highly effective. Your inspector can make recommendations for licensed treatment experts, or you can find one online or through your real estate agent. Radon mitigation is like many other home repairs… you may want to get a few estimates before choosing your radon contractor. 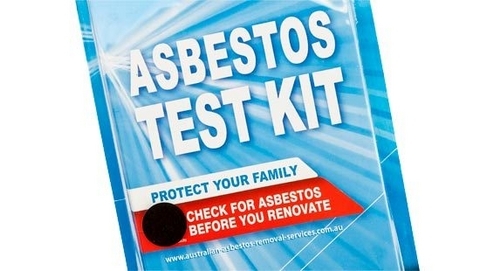 If either radon or asbestos is found in the property and you like the home, you shouldn&rsquo;t necessarily pass on buying it. With the help of your A1 Mountain Real Estate Agent, you can get a recommendation for experts who can prescribe treatment and give you estimates. From there, you can decide whether it&rsquo;s worth it to negotiate purchase price of the property with the home owner. Often the professionals licensed to treat these problems are licensed for both radon and asbestos, so you can deal with one person. Both situations are common enough that they can be taken care of easily and do not need to stop you from buying the home. Are you looking for that perfect, home away from home? A1 Mountain Realty can help find that home and if it&#39;s an older home the agents will have all the tests and inspections done in a timely manner. We will make the whole home buying process as simple as possible. A1 Mountain Realty is a Ashe County Real Estate company that specializes in helping clients find North Carolina Mountain Homes in the NC Blue Ridge Mountains and High Country region. Browse our listings of West Jefferson NC Real Estate for great NC Mountain Properties and other North Carolina Mountain Land for sale. If you don&rsquo;t find something you like in our Western NC Real Estate listings then check out the Western North Carolina MLS. Be sure to view all listings from our website www.a1mountainrealty.com or call our office 336-846-4900 to speak to one of our professionals. While on our website take a look at historic downtown West Jefferson NC from the home page of our website by clicking the Downtown West Jefferson Webcam tab. Thank you as always for taking time to read our blog.